Performance opportunities are available during the year through student enrollment. 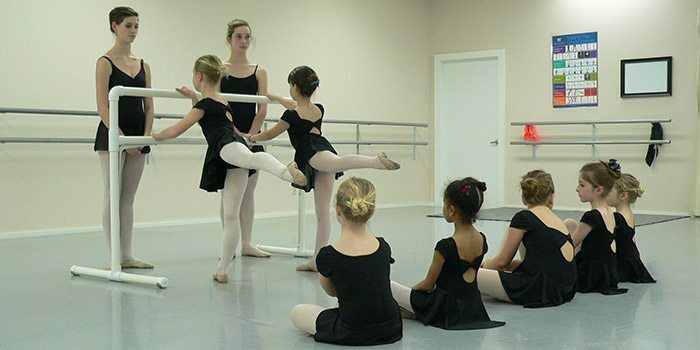 Beginning Ballet, Jazz and Tap for 5 and 6 year olds. Ballet technique, Jazz and Tap for 6 and 7 year olds. Ballet technique, Jazz and Tap for 8 and 9 year olds. Pre-pointe work introduced. Ballet technique for 10 and 11 year olds and older students accepted through audition. Students who are eligible will begin introductory pointe level 1 at the discretion of the director. Jazz, Lyrical and Tap level 2 class is included. Ballet technique for 11, 12 and 13 year olds with pointe level 2. Jazz, Lyrical and Tap level 3 classes are included. Older students may be accepted through audition. Ballet technique with pointe level 3 for 13, and 14 year olds. Jazz, Lyrical and Tap level 4 classes are included. Older students may be accepted through audition. Eligible students will apprentice with level 11/12 at the discretion of the directors. 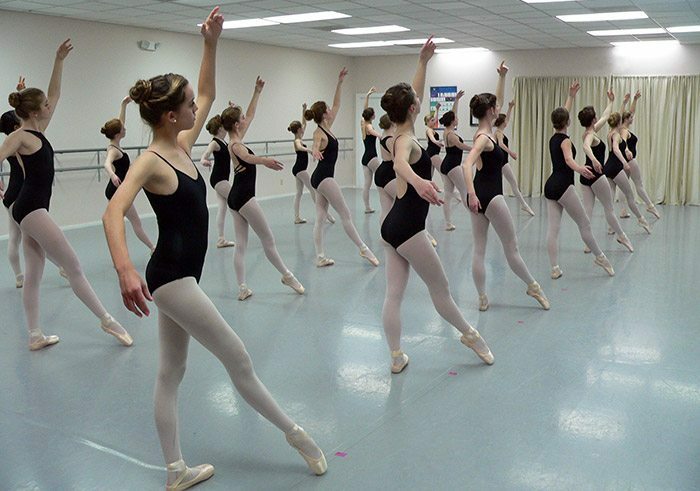 Ballet technique, classical variations and pointe level 4 for dancers 14 years and older. Jazz, Lyrical and Tap level 5 and modern classes are included. Students should plan to participate in all classes offered to qualify for level 11/12 advanced work. Private lessons are available to all dancers during the year. The fee includes studio and instructor. Levels 1 through level 10 are offered twice a week. Saturday classes meet once a week. Class level 11/12 meets three times a week for technique classes or rehearsal. Additional time will be scheduled as needed. Please see the class schedule under STUDENT INFORMATION or contact the studio for a schedule of all class days and times. 912-354-1020.